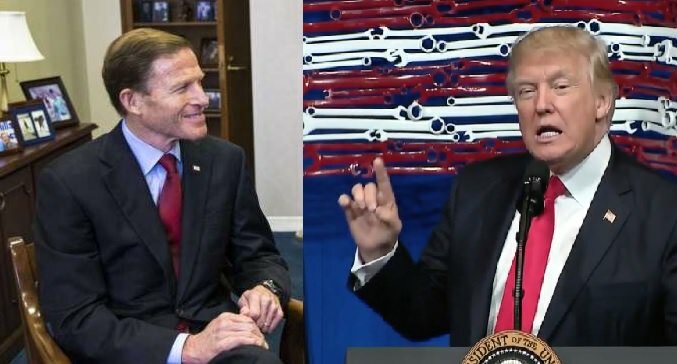 President Trump ripped liberal Senator Richard Blumenthal on Monday while on vacation. Trump once again exposed Blumenthal’s famed military lies. It wasn’t the first time President Trump slammed Blumenthal over his phony military record. Trump blasted the liberal senator back in February during question and answers with the press. ** President Trump also blasted the phony hero back in May on Twitter.